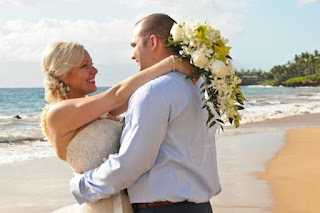 Kasia & Adam have been together for three years. They met in Detroit when Kasia worked for the Ford Motor Company and Adam was in auto sales. 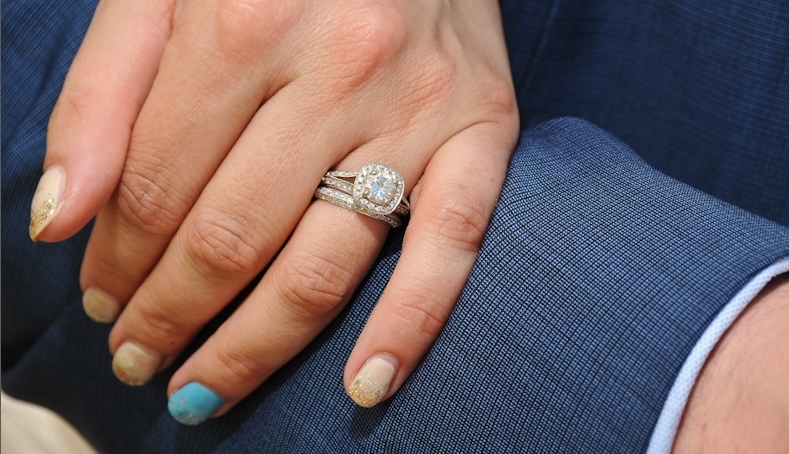 They now live in Colorado. Their dream was to come to Maui and be married on the beach amongst just a few close friends and family. 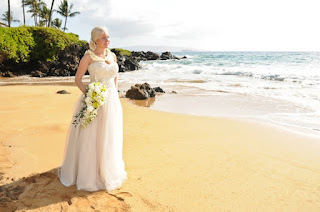 They selected the Molokii Sunset Wedding through Hawaiian Island Weddings. 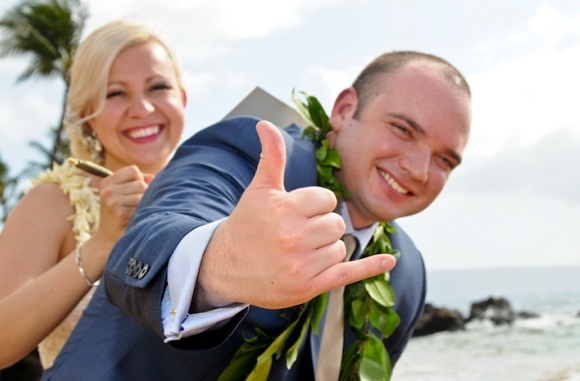 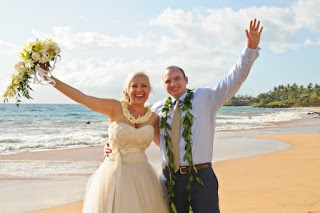 Their wedding took place at 3:30 PM at the secluded Makena Surf Beach so that they could attend the Te Au Moana Luau that evening as their reception at the Maui Marriott Resort. 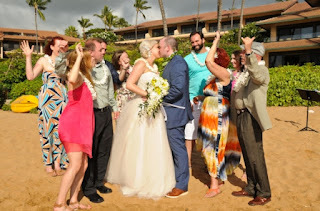 After having Andrea Duarte, hair and make-up artist with 30 years experience, come by her hotel room to pamper her, Kasia arrived with her friends and family to the Makena Surf Beach and meet associate minister Rev. 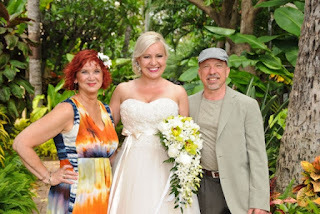 James "Kimo" Kirkman, photographer Tim Clark, and violinist Judy Waters. 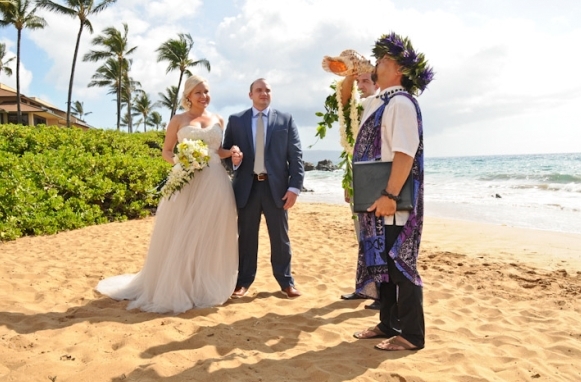 Adam had arrived earlier and was escorted to the beach by Rev. 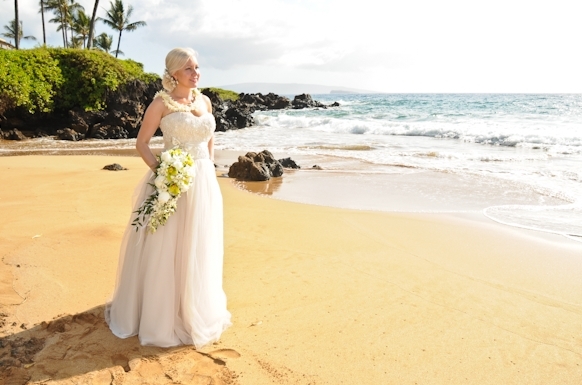 Kirkman as to not see Kasia in her beautiful wedding gown prior to the ceremony. 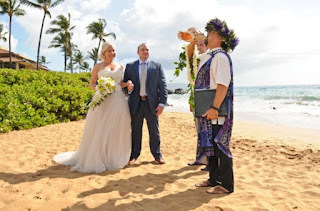 After the touching ceremony and photography session, guests enjoyed a sparkling apple cider toast before heading out to the luau. Kasia & Adam finally had their dream wedding come true on a fabulous Maui beach.